The latest release of Adobe Lightroom, v2, handles all Sony Alpha and earlier KM digital camera raw formats including the Alpha 700, 200, 300 and 350. 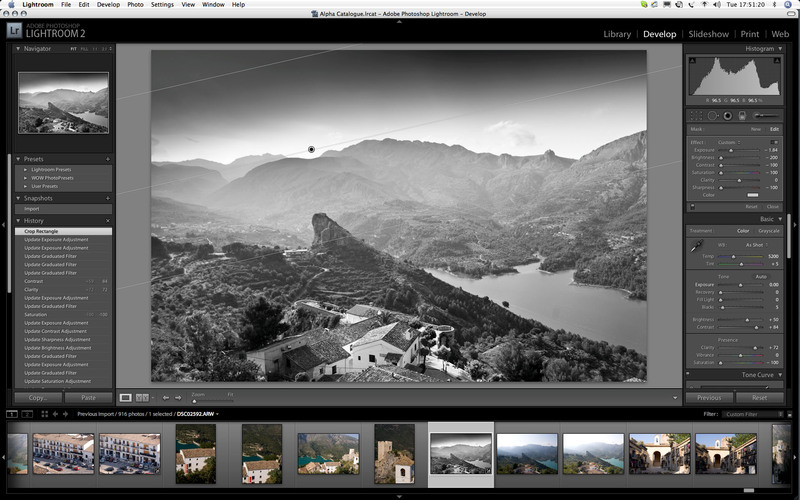 It is also updated, along with the final release of Adobe Camera Raw 4.5, to handle Nikon D700. Because Canon appears to have left their filetype identical to the A400, their new 1000D was recognised immediately by ACR even in 4.5 beta version. Lightroom 2 costs £69+VAT ($99 US) as an upgrade to Lightroom 1.4.1 (the final version of v1), but it does not upgrade the program. Instead it installs as an additional v2 package. If you opt for a 30-day trial, your original LR serial number is unaffected. Be careful with LR catalogues, though; LR2 will ask if you want to upgrade your library/cats, and if you do so, they will no longer be usable by LR1. While your old catalogue will remain, any new additions or changes will affect the new one only, and should you want to revert to LR1, you will have to go back in time. It’s better to start a new small catalogue to test LR2 during the trial period, in case you decide not to upgrade (unlikely!). Good news is that the profiles include the Minolta Dimage 5, 7, 7Hi, and A1; the Konica Minolta Dimage A2, A200, and Dynax 5D and 7D; and the Sony Alpha 100, 200, 300, 350 and 700. These auto-load if you select Adobe Beta 1 Camera profiles, and are just identified as ACR 4.4, but you can see the colours shift compared to the default ACR 4.4 or ACR 4.3 profile. No such work has been done on the Sony Alpha models! Clearly, there room for someone with lots of time to spare to convert some Macbeth Checker shots to .DNG and take different styled JPEGs using the camera settings, to match up customised conversions and save them for Sony Alpha users to enjoy. It is not surprising that Canon and Nikon get custom camera profiles for all their models to date (except the EOS 1000D, which although recognised for raw file conversion by ACR 4.5/LR2 is missing from the list). Now please don’t complain about Nikon D700 images being used here! We test all cameras – it’s my job – and for the last week and a bit I’ve been shooting D700. I’ve lost a few shots the Alpha 700 would have eaten for breakfast, and got a few shots the Alpha 700 would not have done as well. The occasion is the wedding of the Duke of Roxburghe’s daughter, and no, I wasn’t a guest – the church is 200 yards from my door and I nipped out to join the locals and take a few pictures of the floppy hair and perfect legs of the young aristocracy. Now, how about the noise issue? Well, it’s ACR 4.5 at heart. Lightroom 2 has improved output sharpening (they claim) but no improve high ISO noise, over the latest ACR beta or the last 4.4.1 official release. If want graded grains to make finer flour of your Alpha 700 shots in particular, you are still better off suffering the less intuitive and rapid interface of Capture One Pro v4 or v5 – or one of the many small raw converters which seem to be able to beat ACR. Adobe needs to get rid of Mr Blobby for good, he’s been hiding in that list of programmers on the splash sceen for too long. (Note to our 80% of readers from the west side of the water – there are two references in the para above you won’t understand at all unless you watched some very bad British TV a long way back, or study the history of advertising slogans. Never worry. You get the drift!). //www.adobe.com/downloads/ and just look in the left hand column. Enjoy! This upgrade seems very worthwhile and Lightroom, with the speed and overall quality it now offers and such things as the useful Graduated Filter function offering quick fixes for bright skies, is only lacking a top class deBayer and NR routine for higher ISO Sony files. See the UK once again is being ripped of by Adobe, LR2 upgrade in the states $99 in the £90 just about twice as much, for no extra work. Suppose we have got used to these things. What does the “huge”tiff file do and can it be removed without losing functionality? What small RAW program’s cater for the high ISO RAW files better, presume they are not cheap, for the occasional times I use high ISO, although it was one of the reasons for upgrading to the A700. I am afraid until Sony is seen as a major player we will get ignored by Adobe if it needs some greater input. Does converting to DNG do any better? 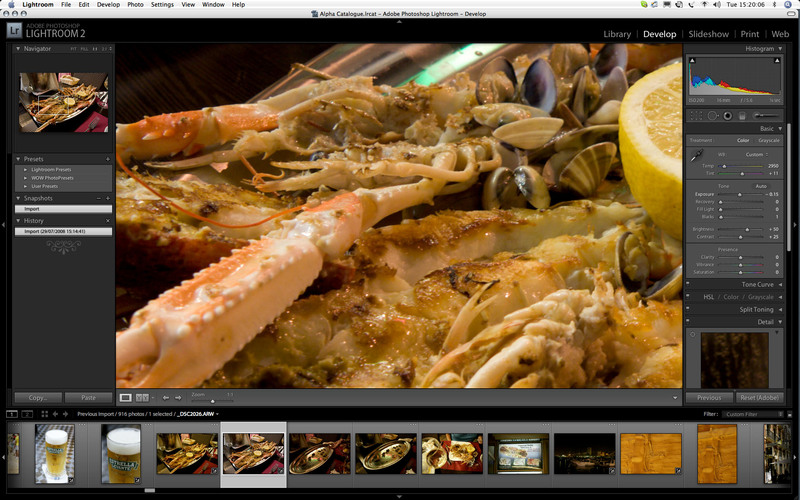 Another release from Adobe, and again still no relief in site for high ISO shooting A700 users. As you noted watercolors and blotches are still the word of the day when it comes to processing Sony A700 high ISO raw files with Adobe converters. Geesh…2,3,4 releases and still no satisfaction…I don’t care much for the Stones, but it seems to be the song of the day when it comes to Adobe and the Sony A700. Fairly good read, DK. It’s to bad Adobe continues ignore forum posts and rants, blog posts and rants, bug reports and samples, trouble report threads at Adobe with samples, and the cold hard facts and proof.